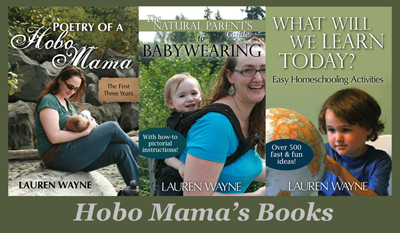 This post is a continuation of Hobo Mama's celebration of Attachment Parenting Month, October 2009. To start off with in case you're new to attachment parenting and want a general overview, or if you're just curious about what these mysterious principles are, I'll go over each principle in turn to give my little summary about what each is and why it's important to you and your child. I've put in parentheses after each one what the original corresponding Baby B is, from Dr. Sears' books, in case you're more familiar with the original list. Just a note that there are eight principles but only seven Baby Bs, so one principle is a bonus! My plan is to write an article corresponding to each element during October. I'll link up each article in the list at the end of the intro post as I finish, so check back later for the whole enchilada. What I've written as an intro to the principles below isn't an exhaustive explanation of each principle. That is, there's plenty more I could say on each one, but I'm just giving a general first impression of what I think they mean. In the same way, my articles to align with each principle will be on one or more aspect of the principles and aren't meant to sum each one up in its entirety. So, if you have anything to add in the comments or in a reciprocal post, please do! I love the feeling of celebrating this month in community. The original Sears idea was more narrowly defined as bonding with your baby immediately after birth, because that is when the newborn first imprints on the mother (à la geese, I guess), as well as the best time to initiate breastfeeding. Now, to bond with a baby immediately after birth requires that you start preparing for that moment beforehand. Because hospitals tend to be detachment-oriented, whisking babies away for observation, cleaning, weighing, vaccinations, and tests immediately after their emergence into the world, parents need to be intentional about setting up a way for holding the baby skin to skin as soon as possible (barring any medical complications, of course). It might mean choosing a home birth, or it might mean hiring a doula to advocate for you in a hospital environment. It might mean writing a birth plan and researching to find a health caregiver who respects birth plans (not this guy). I'm not saying any of this to shame or grieve mothers who, for medical reasons, could not bond with their children immediately following birth, or parents who've been placed with adopted children well after their birth. For the most part, children can and will still attach firmly even if you've both missed those first significant moments together (because we're not geese, see?). But if you can be present and fulfill those needs, you might as well try hard to. Imagine it from your baby's perspective: from warmth and snugness, through a strange squeezing, out into a cold, dry, bright, overwhelming world. Who better to calm him than the person who smells and sounds and feels just right? The API principle goes on to urge parents to think about their parenting beforehand, as well, rather than stopping all research at the pregnancy and birth stage. I'll cop to being so excited about pregnancy that it was almost a struggle to think beyond that thrilling nine months! But it pays to think ahead of time about how babies are when they come into the world, what they need from you, and how you'll set up your life to meet those needs. I'll talk more about breastfeeding below, but that's a big place to prepare mentally. A couple great books to start you off as you parent a newborn are Our Babies, Ourselves: How Biology and Culture Shape the Way We Parent , which is an anthropological look at how our parenting of infants varies by culture, and what kind of parenting is biologically most appropriate; and The Happiest Baby on the Block: The New Way to Calm Crying and Help Your Newborn Baby Sleep Longer , a more practical how-to for soothing newborn fussiness, as well as to give you an understanding for why newborns are so emotionally immature. When you're considering children is also the time to start talking with your partner, if you have one, about how you intend to parent as a team. Ideally you'll be on the same side to begin with, but if not — this might be the time to win your significant other over! The most normal way to feed an infant is by breastfeeding, and it's nature's way of firmly attaching mothers and infants, through the complex dance of hormones and the regular close contact that breastfeeding requires. API also points out that breastfeeding behaviors can be adapted to other types of feeding. For instance, when bottle feeding, hold your infant close, angled in toward you, and offer a lot of touch and eye contact. Regardless of your feeding choice, feed on cue, trying to note hunger signals before the baby reaches the crying stage. As a mother of a very dramatic baby, I know this isn't always possible! One good "rule" for feeding newborns is: Feed them all the time! Ha ha. But, seriously, very young babies eat little bits at a time round the clock, to fuel all the astonishing physical and mental growth taking place, as well as to satisfy their innate need to be held and loved on. Breastfeeding and other types of cuddling, particularly mother-infant skin-to-skin contact, also helps babies regulate their temperature, so that's another reason young infants seek out the breast throughout the day and night. By feeding "with love and respect," as the API principle says, when your baby is young, and breastfeeding if possible, you set the stage for appropriate eating habits when your baby starts adding in solid foods (sometime in the six- to fourteen-month range is generally when they'll start being able and willing to reach for supplemental foods), and even further on into childhood and beyond. Breastfeeding has a protective effect against childhood obesity, maybe because babies learn to eat when they're hungry, stop when they're full, and associate food with good, safe feelings. The most foolproof way to feed toddlers who are learning to eat on their own, in my experience with one so far, is to offer a variety of healthful choices and allow them to continue feeding, and breastfeeding, on cue. One of the biggest divides between attachment parenting and mainstream parenting, as advised by Weissbluth or Ferber or Spock, is that attachment parenting is firmly against the practice of "crying it out," or ignoring a baby's cries, particularly as the baby is going to sleep. Rather than teaching young infants to "self-soothe," attachment parents know that soothing is something the parents model by being responsive and loving. Believe that your baby cries to tell you something. Very young infants cry to tell you they're hungry, wet, cold, tired — or maybe it's to tell you they "just" want to be held. Parents don't need to make value judgments when they respond to an infant's needs or wants. 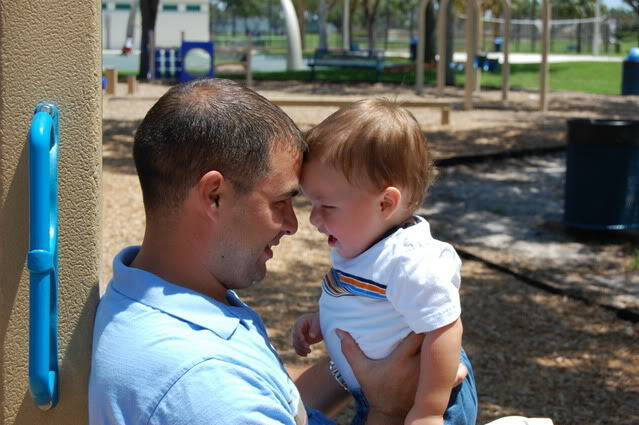 By responding quickly and empathetically, your baby learns to trust you and — well, attach. Older babies, toddlers, and children hold just as much value in their communication. In a world where children are denigrated and ignored, attachment parenting believes that even short people have a voice, and that our role as parents is to listen with sensitivity and respect. One of the biggest tools the Searses found worked for their high-needs babies was to carry them around. Walking, bouncing, skin-to-skin contact — all of it was like a magic prescription of soothing security. To make all this carrying easier on parents, babyminders in other cultures have known for centuries that wearing your baby is the best bet. Some cultures tie their babies on to the adults' fronts, sides, or backs with a simple length of cloth knotted at the shoulder, while other cultures use a longer length of cloth to wrap around the baby and parent several times over. Still others use a special board or basket to help make carrying easier. In our culture, parents and caregivers have discovered and created a range of baby slings, wraps, and carriers based on these old patterns, and babywearers find a carrier or two (or five) that work for them. Babywearing offers a host of benefits. 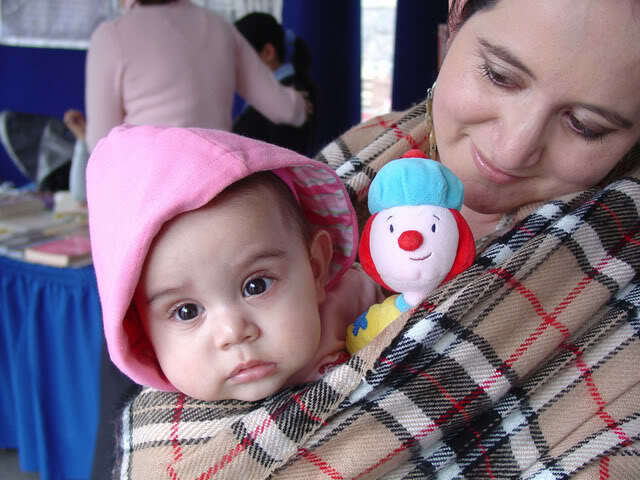 Babywearing stimulates the baby physically, gently preparing muscles for crawling and walking. It develops babies emotionally and mentally by allowing them to view the world from a comfortable level while remaining secure in trusted arms. It replicates the sensations of being back in the safety of the womb: constant contact, warmth, a soothing heartbeat and the sound of a familiar voice, and the rocking motions associated with being walked around for nine months. Babywearing also helps make breastfeeding easier (a lot of these principles intersect in just such a happy way!) by keeping baby close to the mama and allowing for frequent snacking. So that's how babywearing helps out the baby. How it helps out the parents is by leaving hands free for other tasks or for taking care of older children. The soothing value of babywearing helps calm parents' frayed nerves as well. It's easier on the back than lugging a ginormous plastic bucket around, and keeps babies up at a safe level where parents can keep an eye on them. And I can say this from experience — wearing your baby gets you a lot of smiles when you're out in public! Who doesn't love a cute, chubby baby up at eye height? As babies turn to running toddlers and as children outgrow their babywearing days, touch remains a constant and regular reminder of your attachment to your children, for both of you. Gently wrestling, playing airplane, or doing flips; giving back rubs and hugs; scrubbing them clean in the bath and brushing their hair — we continue to connect with our children through loving touch. When you're breastfeeding and avoiding crying it out, it starts making more and more sense to sleep with your baby. It keeps your baby from being upset at night, and it keeps the milk bar close at hand. Some families cosleep in one family bed, as we do (my advice: king size mattress on the floor, all the way!). Others use a side-car arrangement with a crib or commercial cosleeper. Others keep a crib in their bedroom but put the baby back to sleep after feeding. I'm pretty biased toward the first two options, but maybe that's because I love my sleep. Cosleeping as a family has been comforting for our son, as well as easier for me as a breastfeeding mama. I can just roll over and offer each side as needed, without really regaining consciousness. There are guidelines for safe cosleeping, so make sure to check them out before sleeping with an infant. As a quick summary, go with a firm mattress with no unsafe gaps or drops, keep bedding or pillows away from the face, and don't overdress the baby. Parents in bed should be clear-headed and free of any substances that would affect their consciousness. When these guidelines are followed, cosleeping is very safe. Check out some of the fabulous research like that of James McKenna while you decide what's right for your family. No matter what (or who), babies and young children need consistent, loving, responsive caregiving. 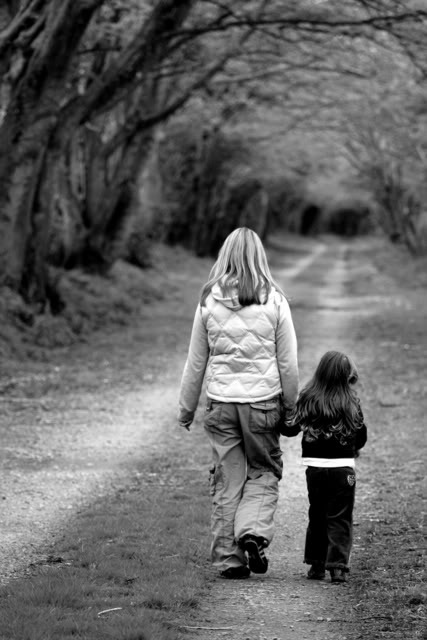 The bulk of their experience with being parented will ideally come from a parent or two, but alternate caregivers can be used successfully if the child can attach in a loving way to them as well. I've written a lot about how I wish finding such caregivers were more convenient and natural in our non-tribal society, but I'll admit I love seeing the results of Mikko spending time with other adults who care deeply for him and vice versa. I think discipline was left out of the original Baby Bs because, again, they focused more on young infants. I would hope that no one thinks young infants need to be disciplined in any way, but obviously ignoring babies' cries is in itself a form of cruel discipline, a way of teaching babies not to trust in parents' responsiveness and that being quiet is valued above being loved. At any rate, I have no problem with Sears leaving it out of the original list, but I recognize its place as toddlers and older children come into the picture. When any group of parents gets together to swap advice, with babies, it's all about sleeping; with toddlers on up, it's all about discipline (and sleeping). I don't know how healthy it is to focus so obsessively on discipline, when for many of us discipline means "getting kids to do what I want" or, in other words, what would be convenient for me. "Positive discipline helps a child develop a conscience guided by his own internal discipline and compassion for others. Discipline that is empathetic, loving, and respectful strengthens the connection between parent and child. Rather than reacting to behavior, discover the needs leading to the behavior. Communicate and craft solutions together while keeping everyone's dignity intact." To that, I'd just like to add: Read Unconditional Parenting: Moving from Rewards and Punishments to Love and Reason , by Alfie Kohn. The end. All right, it's more like the beginning. Unconditional Parenting changed my whole perspective on the subject of discipline, and how our reactions to our children strengthen or undermine their sense of being loved. Here's where attachment parenting is trying to defend itself against the detractors I mentioned in "Provide consistent and loving care." Attachment parenting really doesn't take more out of you than mainstream parenting. It's parenting itself that can be a little wearing, so take breaks if you need to. Find supportive people who can help you, and say "yes" when they offer. Especially when parenting a newborn, you might have to let other (all other) things go while you get used to the whole breastfeeding thing. When you have the energy and time, add back in some activities that make you feel like you. It could be writing, or photography, or dance. Don't forget that there's a person underneath the parent. I'll plug Scott Noelle again here, because I find that his Daily Groove emails consistently remind me that parenting is supposed to be fun. It's a way of connecting to another, little human being, and discovering just who he or she is.